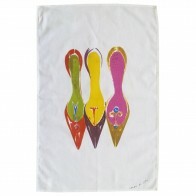 An artistic tea towel featuring three shoes. Made from 100% cotton. Approx. 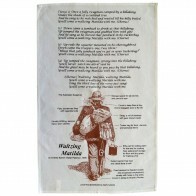 size: 75 x 48 c..
A tea towel featuring the lyrics of Watlzing Matilda by Andrew Barton "Banjo" Paterson with illus..